Unquestionably the world’s most popular instant messaging application, of course, WhatsApp is one of the best services for users to exchange messages and calls worldwide. But, sometimes when the service, of course, WhatsApp goes down, the social media erupts as millions of users left ‘in turmoil’. Hence, here in this post, we will show you an awesome tutorial in which we will show you how to know if WhatsApp is down or active. Whenever we talk about instant messaging the first thing that strikes to our mind is the WhatsApp, of course, it is the world’s most used and one of the most popular platforms for exchanging messages, calls and other communications. However, in recent time on several occasions, we have already seen that how server failures appear in the case of WhatsApp which simply lead the most used instant messaging application, of course, WhatsApp to remain down for all its users over the world. 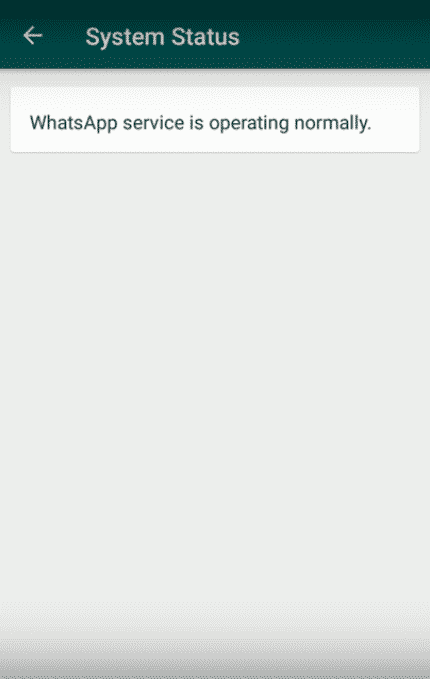 Hence, nowadays one of the biggest fears of the users is that the connection of WhatsApp is down or running. Although there are still phone calls and SMS, but all these options usually have an additional cost and the most used instant messaging app, of course, WhatsApp simply allow us to save those costs, so basically, when WhatsApp servers fail, users often make a lot of noise and become quite violent on social networks. However, the fact is that we have several ways of knowing the status of WhatsApp in real time, though many of them are based on the use of third-party and closed-source tools that do not really know what they are based on to offer the information. 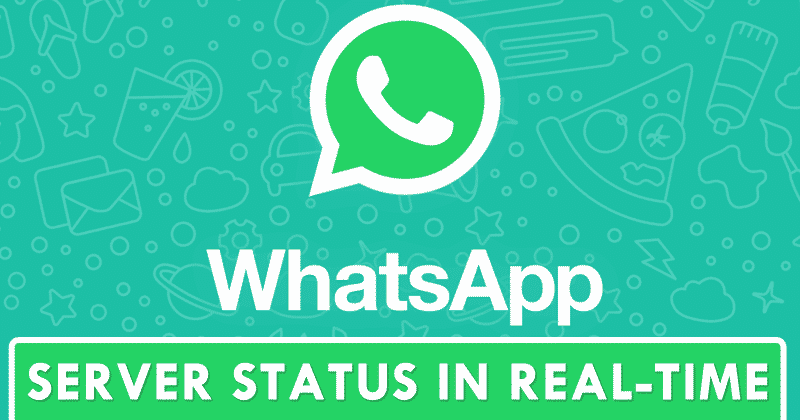 Hence, today here in this article we will show you an amazing article in which we will show you a tutorial in which we will show you how to check the status of WhatsApp in real time using the official services of the company itself. The world’s most used instant messaging application, of course, WhatsApp has an official Twitter account from which we can check its status in real time. When a problem occurs in the network, the person in charge of updating this social account simply informs about the status of the service so that it publishes a message as soon as a connection failure is detected. However, when the network is restored, and everything goes back to work correctly, the same account also informs that the system has been restored and the entire service now usually working without any problems. Now, if you want to keep track of the service status of WhatsApp, then you can simply do so from the following link, that’s it. 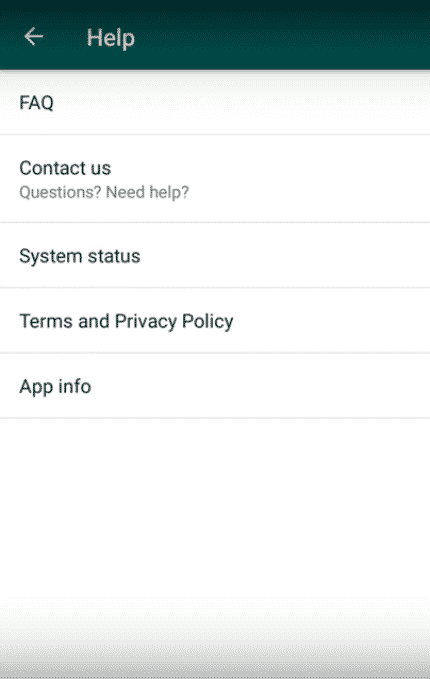 The WhatsApp client has a function that simply informs us about the status of the services and tells us if there is a problem with the connection or not. Hence, to do this, we must follow a few steps that we have mentioned below. First of all, simply open your WhatsApp. Then simply open your WhatsApp “Settings”. Now after the above step, you will get a window like this. Now simply you have to tap on “Help”. After the above step now simply select the option “System status”. Now you will know the status of WhatsApp service. If the status of the servers is correct, but somehow the messages do not reach the recipients or we can not connect, then it is possible that it is a failure of the internet connection due to WiFi or we do not have an active mobile data connection. Even it is also possible that the servers have been dropped and has not given the company time to notify, so at that time we must have to keep patience and wait few minutes to see if the connection is restored. So, what do you think about this? Simply share all your views and thoughts in the comment section below. And if you liked this tutorial then do not forget to share this tutorial with your friends and family.